Eight fantastic Class 24 variants for your approval. Move cursor over the locos for a closer look. An interesting and rare transition-era livery, dating from the late-1960s and featuring pre-TOPs numbering on a blue locomotive. It is understood that only two locomotives gained this colour scheme. Detail combination: Production body, Front end doors, Later exhaust, Boiler fitted, Solebar fairings, SKF axleboxes. Notes/Period: These two locomotives were amongst the large allocation belonging to the London Midland Region’s Stoke-on-trent Division which also encompassed Crewe and provided traction throughout the North West. 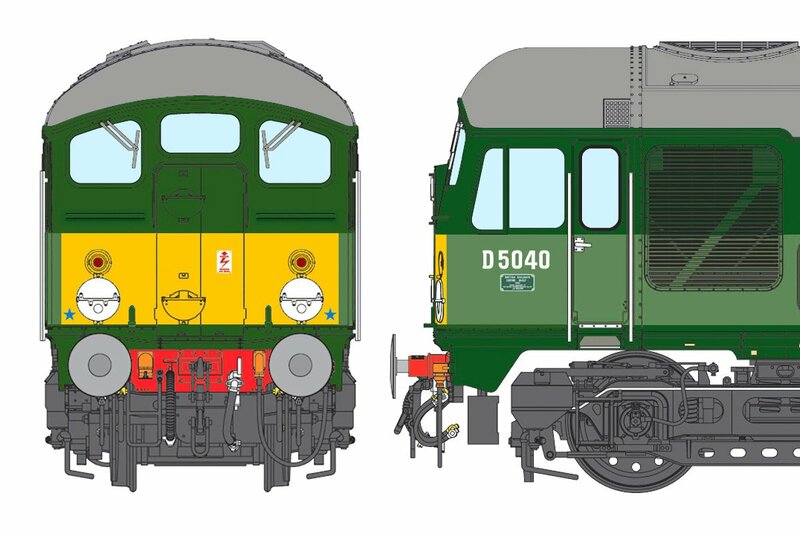 Running number example(s): D5040, D5053. Notes/Period: Majority saw widespread use on the Great Eastern and Great Northern in the mid to late-1960s before being dispersed to the London Midland and Scottish Regions. Answers the call for an Eastern Region machine. Scottish locomotives are always popular and it is often forgotten that many ‘skinhead’ machines were based north of the border. From the early 1970s, Glasgow Works plated over the front doors in a distinctive style. Detail combination: Production body, Plated front (Glasgow style), Later exhaust, Boiler fitted, Exposed solebars, SKF axleboxes. Notes/Period: A great variation for those who model the BR blue period that also provides a base model that is suitable for conversion to the majority of the Tyne Dock locos in their later blue years. 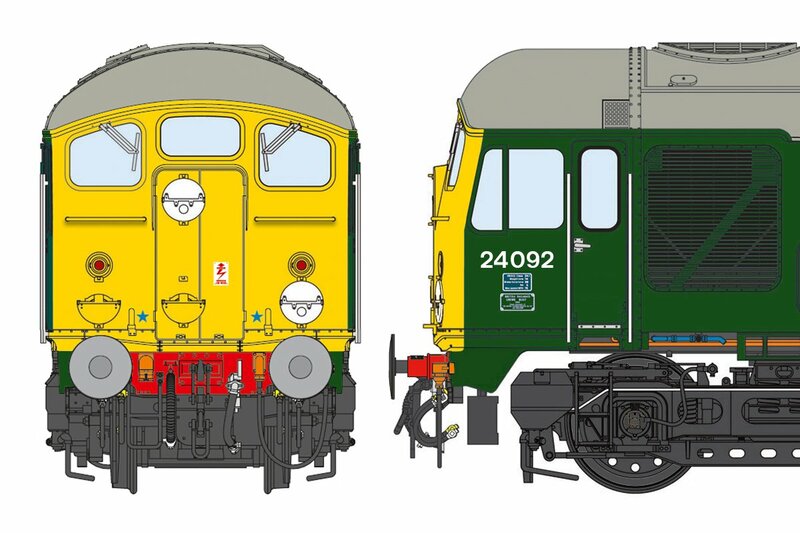 Arguably the best-known Class 24, the former No. 24061 had a second life as motive power for Derby Railway Technical Centre’s test trains. It received its eye-catching red and blue livery and name in 1980. Detail combination: Production body, Front end doors, Later exhaust, Boiler fitted, Exposed solebars, SKF axleboxes. Notes/Period: Widely-travelled throughout the 1980s, including numerous open day visits, before being preserved on the NYMR. Has been a popular subject before, but SLW will produce the most accurate model to date. A common combination, representing a Crewe-built machine following the adoption of warning panels. Without the chromed radiator and air intake grille surrounds that were a feature of the previous Darlington release. Detail combination: Production body, Front end doors, Original exhaust, Boiler fitted, Solebar fairings, SKF axleboxes. Notes/Period: Probably the most prolific livery in the mid-1960s. 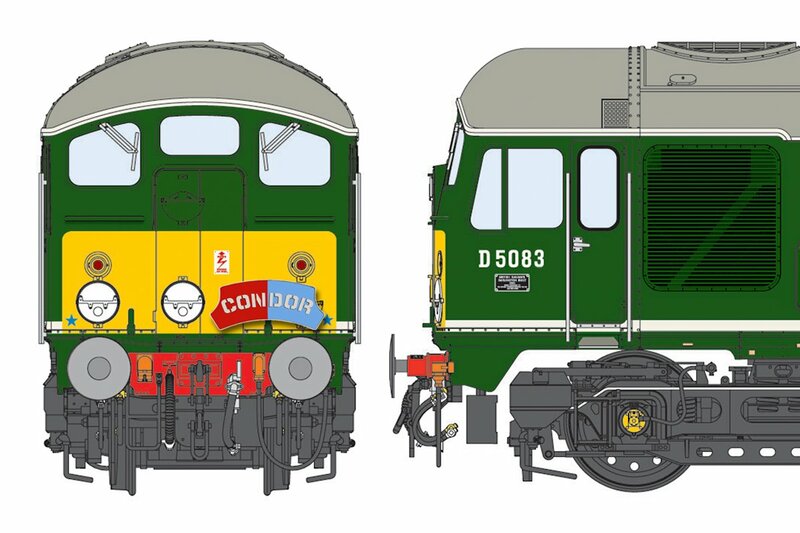 Inclusion of free CONDOR headboards as a special extra, since these locos were recorded working this early non-stop container service. The early 1970s presented the occasional incongruous mix of colours and lettering styles. This is an example of a locomotive that avoided the blue paint tin long enough to get yellow ends and TOPS numbers. 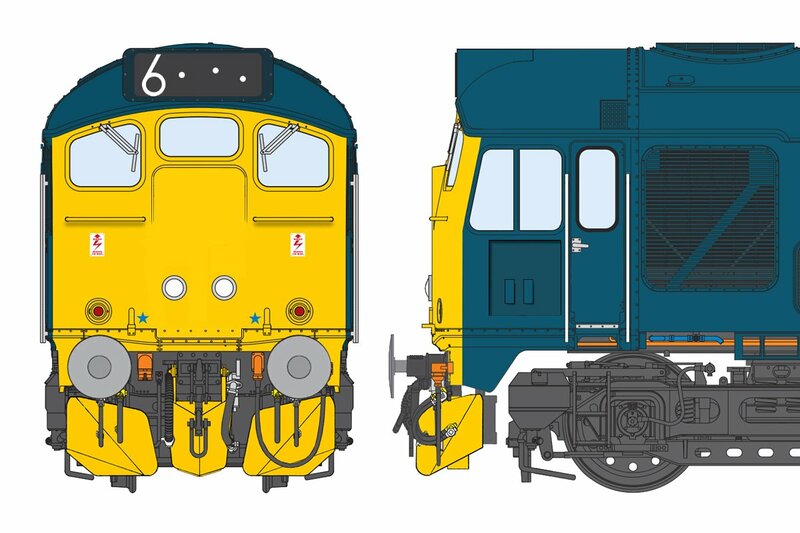 Notes/Period: The suggested locos were allocated to Glasgow Eastfield and Crewe Diesel during the period. 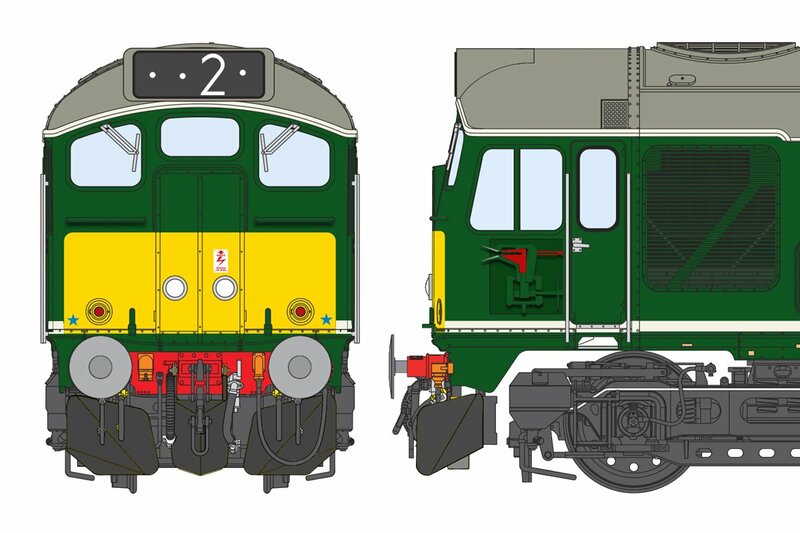 The final development of the Class 24s with headcode box. In standard BR green colour scheme with small yellow panels. Featuring working twin headlights as fitted for rock-fall advanced warning. Detail combination: Headcode box, Production body, Strip-sealed front end doors, Later exhaust, Boiler fitted, Exposed solebars, SKF axleboxes. Notes/Period: As allocated to Inverness shed in the mid/late-1960s and used on the Kyle and Far North lines as well as the Highland main line (often double-headed). 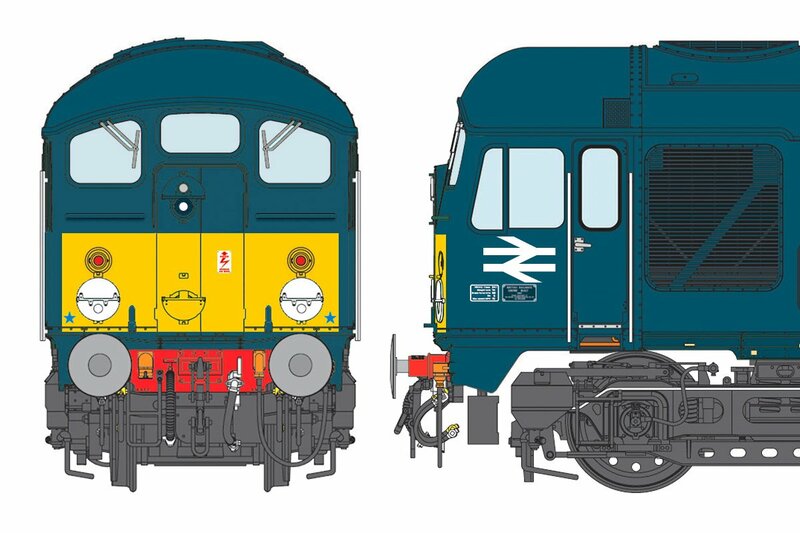 The final development of the Class 24s with headcode box. Corporate BR blue but retaining it’s original numbering. Featuring working twin headlights as fitted for rock-fall advanced warning. Notes/Period: As allocated to Inverness shed in the early-1970s and used on the Kyle and Far North lines as well as the Highland main line (often double-headed). Final derivation of Class 24 with headcode boxes. BR corporate blue livery with five-digit TOPS numbers. Featuring three-piece miniature snowploughs and working twin headlights. Cab side recess with optional tablet catcher. Detail combination: Headcode box, Production body, Fully plated front end doors, Later exhaust, Boiler fitted, Exposed solebars, SKF axleboxes. Notes/Period: As allocated to Inverness TMD in 1974/5 and used on the Kyle of Lochalsh and Far North lines for mixed traffic work.